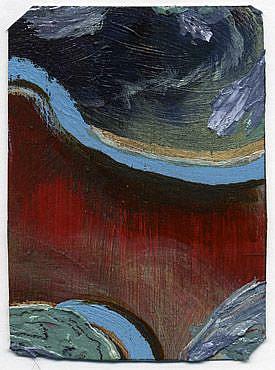 Trading card sized abstract painting. No. 1 in a series of 5. No special meaning or representational subject here.